The file MGSV: TPP DualShock3 and 4 Button Icons v.0.5 is a modification for Metal Gear Solid V: Ground Zeroes, a(n) action game. Download for free. 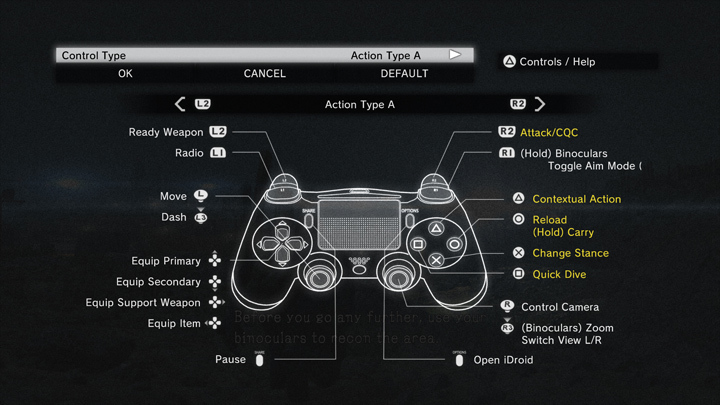 MGSV: TPP DualShock3 and 4 Button Icons is a mod for Metal Gear Solid V: The Phantom Pain, created by Holdfing. This mod replaces the default Xbox360 button icons to DualShock3/4 button icons. It also adds the correct controller image into the game's menu. IMPORTANT! I highly recommend you make backups of every file you're about to alter. Saves a bunch of time vs downloading again if you mess something up or want to go back to the original files for whatever reason.